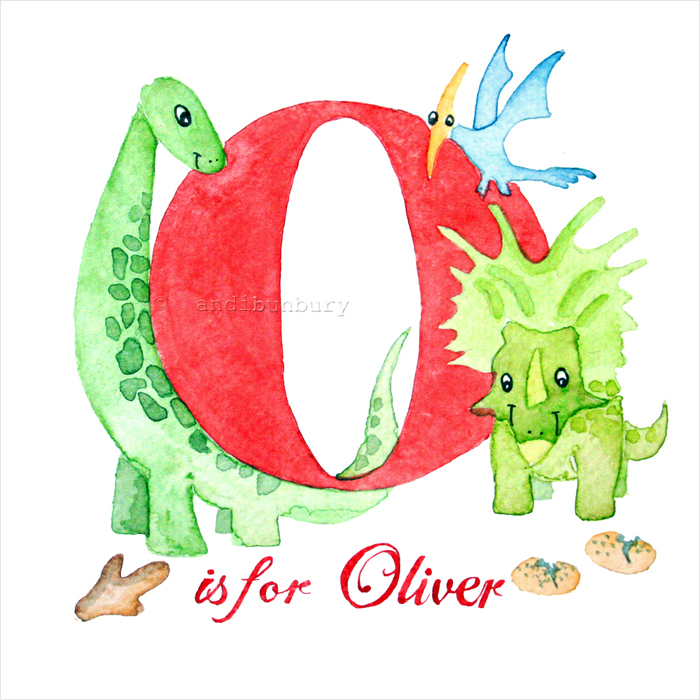 The dinosaurs design works around many different colour initials. Many different dinosaurs can be selected – T-Rex, Triceratops, Stegosaurus etc. Due to the more earthy greens, browns and blues of the dinosaurs, the lettering works well in a bright and warmer colour like a red or orange.